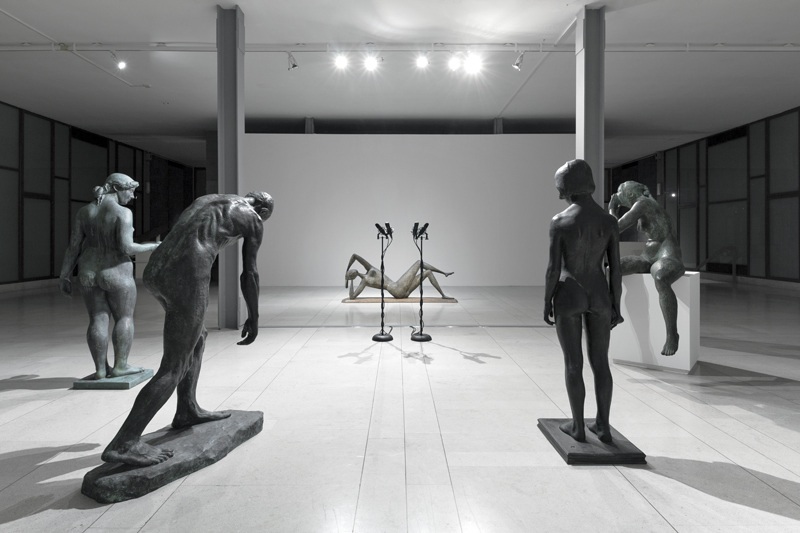 The project Audible Forms aims to analyze the relationship between form and sound, sculpture and matter, making forms somehow audible – as it is a common practice for sculptors to listen to statues to capture the sound response of matter. 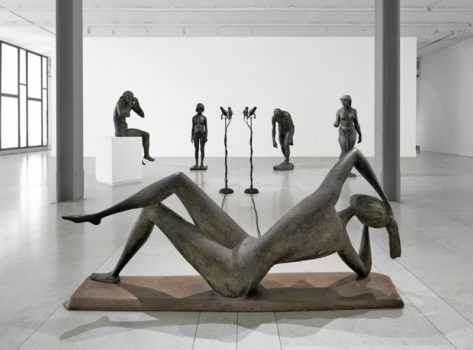 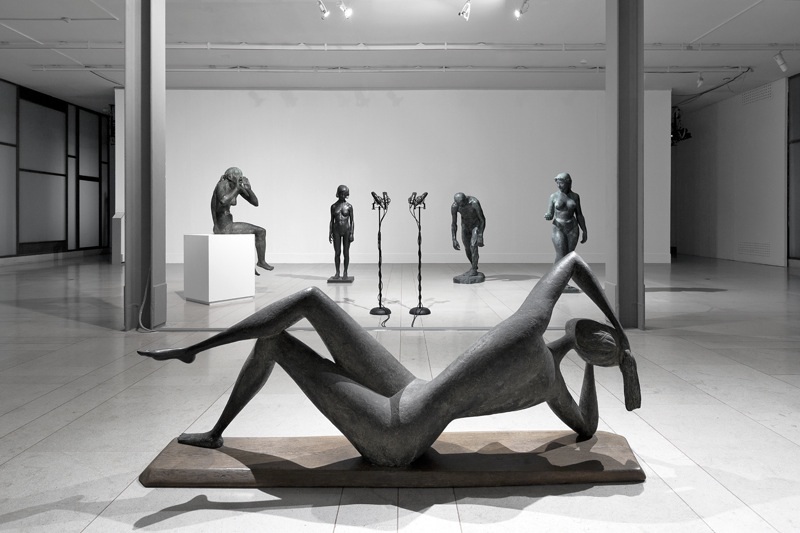 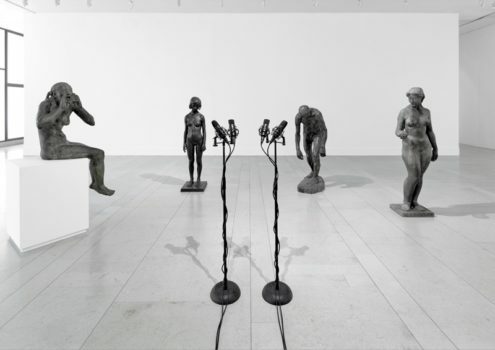 The project created in 2016 for Museum Revoltella (Contemporary and Modern Art Gallery in Trieste) analyzes the frequencies of the harmonics of four bronze statues, so as to find the “voice” of each sculpture. The final display of the installation in the Hall designed by architect Carlo Scarpa arranges the statues as a silent choir in front of a group of microphones modified into loudspeakers. 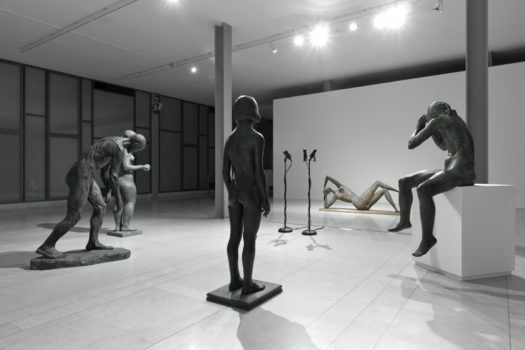 Each of these plays the resonance of a sculpture, making the forms of the statues audible, like distant echoes sung by the statues.